Local Promoter Dan Gray and his team really pulled out all of the stops to put on a seriously top class International event, Dan Gray's second at the stunning venue, that outclassed the vast majority of the biggest televised events in the country, not just in the realm of quality of the promotion but also with regard to matching. How refreshing it was to be ringside at an event where each and every fight was so evenly matched you really didn't know who was going to emerge victorious. Anyway enough of my waffle, let's get to the fights themselves, in reverse order. 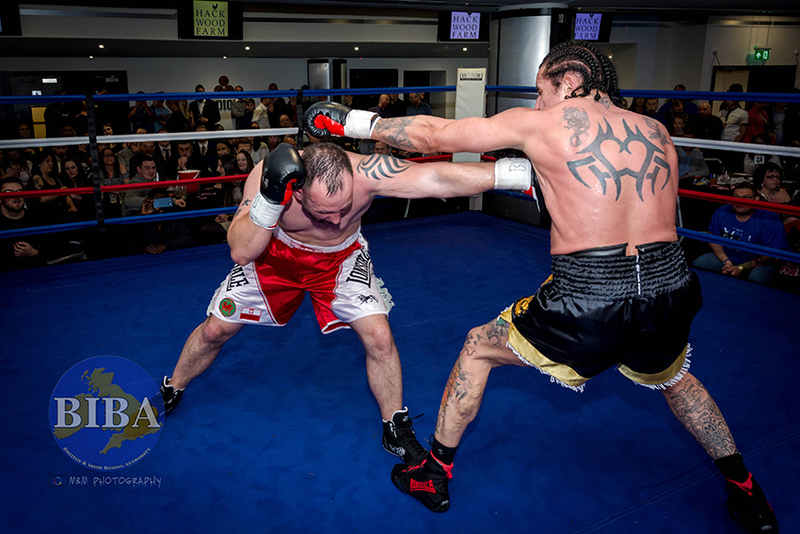 Local Prospect Ross Doherty headlined the show, against Latvia's Grigorijs Dunecs in an eight round Welterweight contest. More of the same in the early part second, however Doherty's confidence soon grew to a level where he was able to slip under the impressive jab from the Latvian and let rip with sharp double-handed combinations, before slipping back out of range. Don't get me wrong it wasn't all one-way traffic, far from it as Dunecs had plenty of success landing his shots too, just Doherty's clever movement and pure guts to get inside to land his were mightily impressive. The final round was a cracker, well the whole fight was, but the final round encapsulated the flavour of the contest best, both fighters threw caution to the wind and really went for it - it was breath-taking to watch. 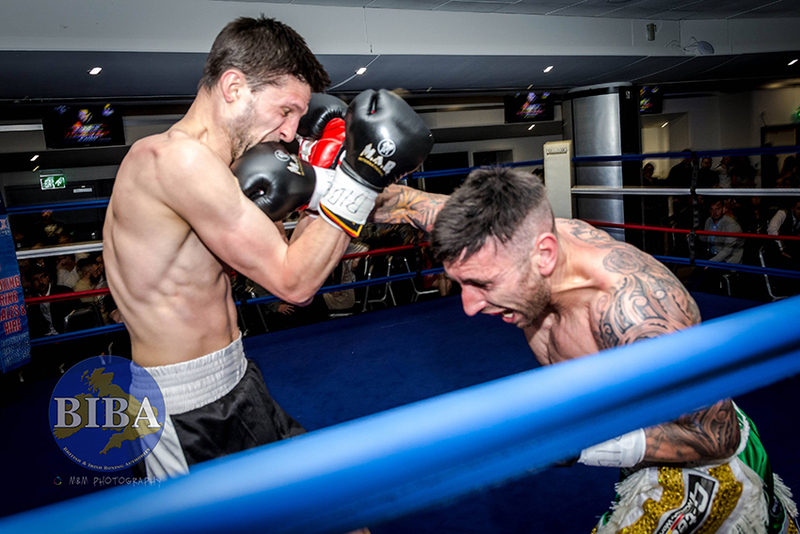 After eight fantastic closely fought rounds of boxing Referee Rob Jones' scorecard read 80-72 in favour of Ross Doherty, although absolutely the correct score, it just didn't reflect just how close the vast majority of the rounds were. Preceding the excellent Doherty-Dunecs fight was a battle of two Pro debutants, Great Britain's Emily Pugh versus Latvia's Jelizaveta Cerkasova. What a fight, it was superb and I know before I even start writing I'm not going to be able to adequately describe just how good this fight was, but am going to give it my best shot. After four absolutely wonderful, exciting rounds of boxing Referee Rob Jones scored the bout 40-36 in favour of Emily Pugh, and as with the Doherty-Dunecs scoring it was a hundred per cent correct but again just doesn't represent just how incredibly closely fought the contest was. 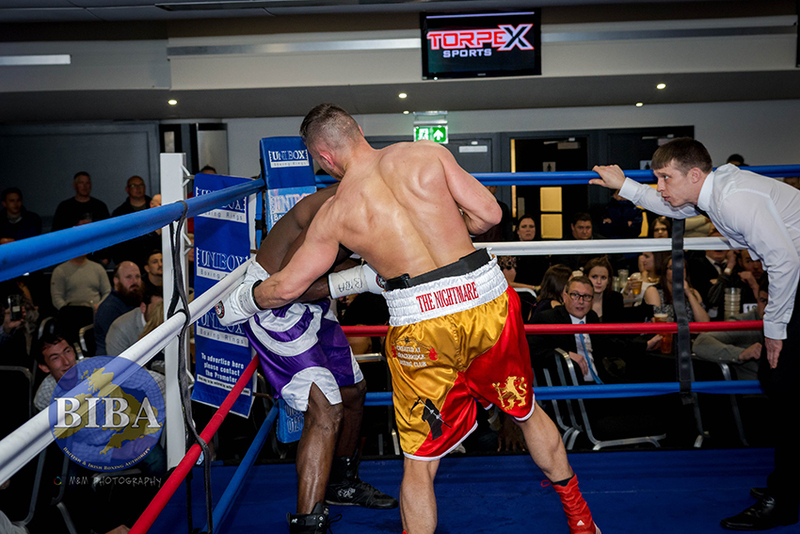 Prior to my Fight of the Night winner, Pugh Vs. Cerkasova, was the hugely anticipated and way overdue Super Middleweight contest between Bardley, Lincolnshire's very own unbeaten and IBF Ranked Super Star Nathan "The Nightmare" Decastro and Philip "Sweet Pea" Kotey. For virtually the entire rest of the round this fight could have taken place in a phone box, but don't go thinking that means little was happening as they were too close, oh no nothing like that it was all action, I lost count of the amount of shots both fighters threw, they were just raining down. The massive uppercut was probably the cause for Kotey's distress, which was later stated to be a torn rotor cuff injury. The fight started a frenetic pace, Corvus bouncing in, letting rip, before bouncing back out again, after about twenty seconds or so Promoter Dan Gray shouted out to Corvus "slow down, plant your feet", the big Scotsman immediately complied and proceeded to take a much more controlled approach to the business in hand, so much so that he secured the round in style. Round two see Corvus boxing nicely off the front foot, but also see Hughes come more into the fight. There were some cracking exchanges, one such about three quarters in, see Corvus land a big left and as he leant back to where he thought he'd be out of range, Hughes took a slight step forward and landed a very good straight right which sent the Scotsman to the canvas. As the round progressed there were some really nice exchanges, then out of the blue Hughes threw a peach of a shot to Corvus' body, which sent the big Scotsman to the canvas for a second time. Again Corvus made the count and also made a big impression late in the round when he landed a cracking body shot, which slowed Hughes but didn't send him down. 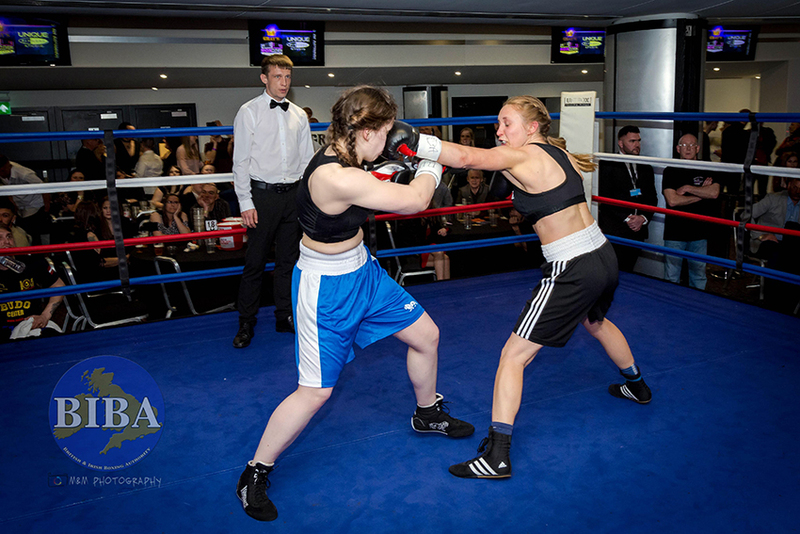 After this bout Promoter Dan Gray announced that this was Mousley's final fight, on the unsanctioned amateur circuit, as she is turning professional and will make her pro debut on Dan's next show in August. Without doubt she will make a very welcome addition to the pro ranks.